he Bit Trip series has been a real favourite of mine. The blending of musical beats and relentless split-second platforming could’ve been specifically made for me. So how does the third outing for Commander Video pan out? The series of Runner games has been a welcome inclusion in my library for many a year. Yes it’s just a step up from an endless runner. Yes the visuals are so in your face it’s painful at times and yes – they’re aware of all this! 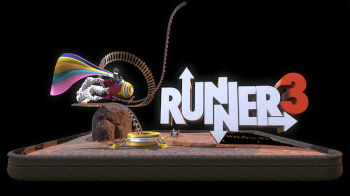 Offering a fast paced platforming experience the Runner games are a welcome pallet cleanser to the number of shooters, rogue-lites and massive online titles that are being spewed across the industry relentlessly. Timbletot is determined that all love and happiness is eradicated from the many worlds of Runner 3 and our hapless hero is here to make sure that isn’t the case. Offering the same side to side scrolling platform antics of the previous games you are continually pushed forward whilst having agency over Commander Video’s actions only. So a simple press of a direction or button will make him jump, slide, kick, bounce, wall jump etc. 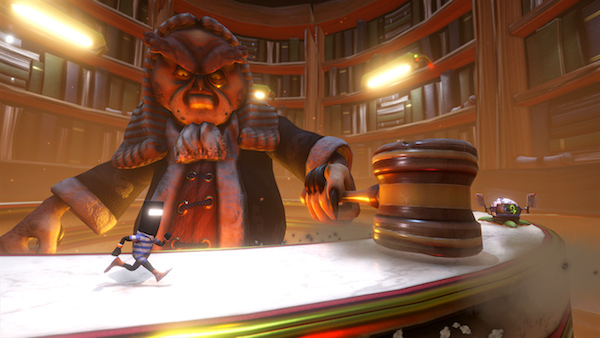 Runner 3, like the games before, is all about precise execution of this varied moveset. Managing to slide under an obstacle, slide-kick a foe, leap in the air, collect a gem, then land early enough to slide under another enemy is the name of the game. 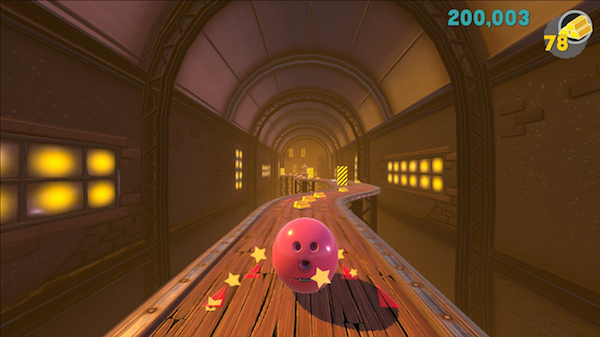 Each level offering collectables that will open up a minigame at the end (firing your character – you can choose others to undertake the adventure with – in to a target to access further items). Once you have completed the run through of each level in each distinct zone once you can run them again to find more collectables and up your level rating. 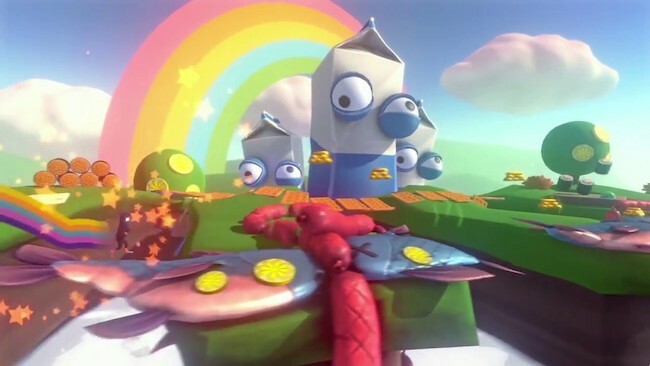 Talking of levels there are a total of 27 levels spread throughout three distinct worlds – Machineland, Spookyland and Foodland. Each with it’s own set of challenges and distinctive looks. There are also the series stalwarts of the retro levels thrown in for good measure where the game reverts to a very simplistic representation of the game play. Unlike the retro levels of the previous games though you actually can control your characters full movement making it more of a traditional platforming game during these moments. Traversing the levels is a varied experience with you performing actions usually on the beat of the thumping background track. Collecting items adds to this musical score as does collecting the level-up boomboxes (previous games had a red plus) which, once reaching sufficient cacophony, unleash an awesome rainbow trail behind your character. Other changes from the previous titles include rideable items, a double-jump and being able to branch in levels by going in and out of the foreground and background. These subtle changes do add a new depth but the game is a well trodden path in it’s now third mainstream installment. Musically and graphically the game is very similar to Runner 2, but still offers up a reasonable enough step-up. Everything runs smoothly with the Switch managing to do well in both docked and undocked variants. The game scales very well to the big screen and is my prefered way of play – you just seem to notice the obstacles easier. 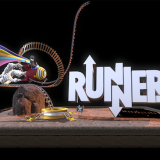 Runner 3 is a solid entry in to the Bit Trip franchise and once again offers something to help alleviate the monotony of serious games. How does it stack up to the other titles in the series? Well for me Runner 2 was a steep mountain to climb and Runner 3 never reaches the levels of accessibility that it did. 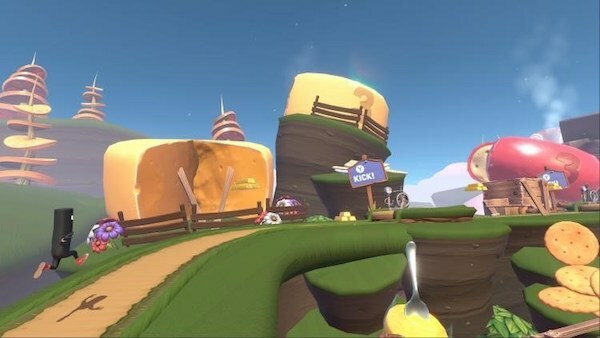 The small changes between Runner 2 and Runner 3 are mostly smart (the rideables are fun but can be cumbersome to pacing), the look is still bold nad beautiful and the game still has a great pick up and play ethos. That said, this is the 3rd time these mechanics have been trotted out and, let’s face it, fun as they are it can get a little monotonous at times and some of the levels are needlessly frustrating at times. Replayability is good thanks to collectibles and a selection of varied environments, yet there feels like there should’ve been at least another worlds-worth of content to round out the package. Fast, fun, funny and funky Runner3 is a solid entry on the Nintendo Switch and one for fans and newcomers alike – but be warned frustration levels escalate quickly and unlike the accessible Runner2 it can be controller-tossingly tricky at times.